Changes in the Aged Care Standards now requires a focus on the consumer journey and hence the importance of this training…..
Perhaps you are a consumer experience champion in your team and in your organisation. You might work in Care, Nursing, Maintenance, Grounds, Activities, Exercise Physiology, Administration or you might have a leadership role. Quality customer service is everyone’s role. Are you interested? If so this 1 day program will be for you. This interactive program will work with you on strategies and systems to make sure your services to your consumers meet standards agreed to by your organisation and aimed for in our aged services industry. Over the 1 day of presentation, workshopping, discussion and action planning you will be reflecting and reviewing your consumer experience with you, you team and your organisation – in the context of quality standards and contemporary aged services practice. 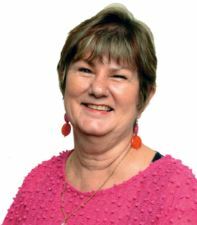 After 5 years with Leading Age Services Australia in Queensland, Lynda is now Training Manager following previous roles in teaching, training, senior management and faculty leadership with Education Queensland, TAFE Queensland, Skills Councils, the community and LASA. In addition, Lynda has extensive experience of conducting professional development for vocational trainers and industry personnel as well as experience in delivering papers and presentations at local, state and national conferences and forums. Lynda holds formal qualifications at undergraduate and post graduate levels in leadership, management, quality auditing, teaching and training.